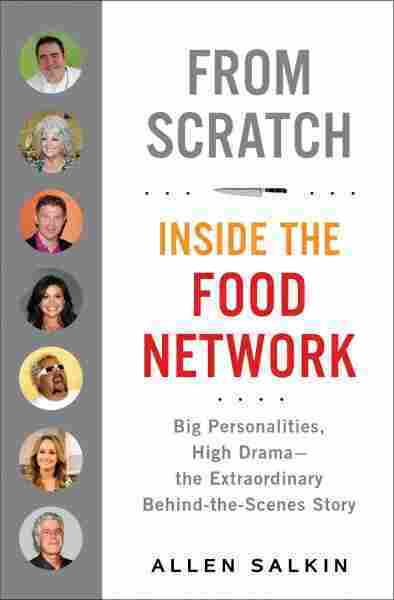 Exclusive First Read: 'From Scratch: Inside The Food Network' Read an exclusive excerpt of Allen Salkin's new history of the Food Network, From Scratch. It's an affectionate but unsparing look at a scrappy little startup network that became a national broadcasting behemoth — and brought people like Emeril Lagasse and Rachael Ray into millions of homes. Back in 1993, the Food Network was the Little Network that Nobody Really Thought Could. Cable TV was still, if not in its infancy, then enduring a difficult toddlerhood — no one knew what cable audiences were interested in, and no one thought a scrappy startup dedicated to food would go anywhere. Twenty years later, the doubters have been proved wrong; the Food Network is a global powerhouse that's made the names and fortunes of stars like Emeril Lagasse, Paula Deen, Guy Fieri and Rachael Ray. Allen Salkin's From Scratch: Inside the Food Network is a witty and sympathetic — if unsparing — look at the network from its unlikely beginnings to its current dominance — and the people who rose and fell along the way. In this excerpt, Emeril Lagasse, a mainstay at the network from almost the beginning, is about to learn that he may not be as valuable to the network as he'd thought. From Scratch will be published Oct. 1. "I have never met another guy who could walk into a room with, like, two hundred people and somehow find the one person that needed the hug the most," says a tearful Susie Fogelson as she raises a cham-pagne glass to Emeril Lagasse. The head of marketing for Food Network, Susie pauses to avoid choking up in front of thirty executives and staffers gathered in the network's central kitchen in New York City. "He would be able to find the person, like a magician. 'Someone told me it's your birthday. How old are you, twenty-seven?' And she's like ninety-two." Emeril could have used a hug himself. After a ten-year run, Food Network had just killed Emeril Live, his cooking show that had debuted in 1997 with a band and a live audience. It was a genre-bending formula that quickly made Emeril a household name and his kitchen catch-phrases "Bam!" and "Let's kick it up a notch!" a part of pop culture. But now, a few weeks before Christmas 2007, the cameras have been switched off in the sixth-floor studio and the last burner extinguished. The executives are trying to honor his accomplishments, but Emeril's shock is setting in, his mind wheeling between disjointed thoughts: "Why are they doing this? Budget? Ken's not here? He didn't even call me? How can this be real?" Ken Lowe, the chief executive of Scripps, the parent company of Food Network, has been a dinner guest at Emeril's home. But today Ken has not made the trip to New York from corporate headquarters in Cincinnati. The network president, Brooke Johnson, stands near Susie amid the orange cabinets and cutting boards. Brooke takes a small sip of champagne, and her calm feline eyes betray little. Susie, tall with curly chestnut hair, is having a hard time. By tradition, each on-air talent at Food Network has one executive he or she is closest to, the person they call for inside information. For Emeril it is Susie. When the head of marketing, who'd hired Susie, left three years ago, Emeril had phoned Brooke and insisted that Susie take his place. As she sees the famous chef's heavy bulldog face, she flashes back to seven years earlier, when she moved to Food Network from Nickelodeon. Back then, most viewers thought Food was the Emeril Network. His show was on every weeknight at 8 p.m. and he overshadowed all the other stars. When the network, marginally profitable in 2000, wanted to raise its profile, it didn't trot out Bobby Flay or Mario Batali. Emeril was its million-dollar man in chef's whites, the first food TV star to be signed to a seven-figure contract. It was actually only around $333,334 a year for three years, but the network wanted to impress affiliates with its financial health and commitment to its ratings star, and trumpeted it as a million-dollar deal. Susie had gone on a forty-day promotional tour with him doing dinners and cooking demonstrations — Emeril Salutes L.A., Emeril Salutes San Francisco, Boston, etc. He would rush out to a kitchen station in a ballroom or convention center and the gathered advertisers, local cable company executives, and fans who had either bought or won tickets would stand and whoop with glee. He'd give a quick talk about what he loved about the city's food, demonstrate one of his recipes, and then pose for photos with admirers. Emeril had friends everywhere. After each event, he would take Susie and his entourage to dinner. She had known his bombastic TV shows where a chef stood behind a counter demonstrating how to make personality from watching him for years at home, but at the dinners, Emeril showed a sweetness and gentleness she had not imagined, his big soft hands gesturing slowly as he spoke, his Antaeus cologne radiating a warm, embracing scent. He had a sly twinkle in his eye and radiated the deep confidence of someone who knew who he was in the world. On Emeril Live, all he had to say was "let's add some more gah-lic," and the audience — his audience, the people who lined up week after week to fill his bleachers — would burst into applause and cheers. Before commercial breaks, Emeril would set down his spatula, rush over to the band, and grab a pair of drumsticks, showing skills on the skins he'd learned as a musical prodigy on the high school drum team. Everything had come together and he was on top. But now, as he is toasted in the Food Network kitchens in 2007, Emeril acknowledges the good wishes as his heart grows heavier and his anger percolates. How did this day come? he asks himself. Keeping Emeril happy had been the network's priority from the moment it first saw the ratings for Emeril Live. When Brooke came to the network as head of programming in 2003, Ken Lowe told Emeril that her main focus was keeping his show at the top of its game. And from the day she started, she recognized that Emeril was king and she rarely made a decision about hiring new talent or green-lighting a series with- out consulting him. Brooke, a veteran TV executive who had helped the A&E network jettison its original arts programming in favor of dramatic series and crime dramas, was known for making aggressive changes that worked. She spent money on audience research to figure out the truth about what was and wasn't working and how to fix it, and then she fixed it. Gut instincts mattered, but when the gut is fed facts, its instincts tend to improve. So when she took over as president in 2004, one of her first acts was to commission a study to find out how the viewing public perceived Food Network. The outside consultants found that to many television viewers, the network delivered little besides unexciting "dump and stir" cooking a meal. Other networks were starting to offer more exciting food programming. They presented Brooke with a graphic, the Food Network logo as a pie. It showed that Travel Channel, TLC, and the broadcast networks had bitten off portions of her market with shows shot on the road, real-life wedding tales, and other "reality" programming. The consultants titled the graphic "Nibbled to Death." The authors of the study might as well have put Emeril's face in the conclusions, a big red X marked over it. When you looked past the live band and the quick opening monologue, his two shows, Emeril Live and his lower-key half-hour weekend show, Essence of Emeril, were basic cooking shows. If Food Network wanted to grow, it was going to have to become less of the Emeril Network. But, Brooke, Susie, and other executives were not ready to let go yet. This was Emeril — surely something could be done. Brooke assigned the Emeril Live production team hundreds of thousands of dollars to update the set. They moved it to a new studio, added a Viking range, and cut out his monologue, which allowed him to head straight to the kitchen, where he was most comfortable and his energy was highest. Susie and her marketing team came up with a new overall network slogan that began appearing at commercial breaks: "Food Network: Way More Than Cooking." For three years, as the Emeril Live audience continued to age, programs such as Alton Brown's half-hour on the science of food, Good Eats; the breakthrough competition show Iron Chef America; and The Next Food Network Star started to thrive and attract younger viewers. Susie, like other Food Network executives, noticed the change. Then in 2007, a "Brand Lens Study" used focus groups inside and outside the network to distill the direction Food Network would have to take if it wanted to keep up with the more exciting programming emerging on other networks, especially Top Chef on Bravo. The report's conclusions found many ways to say "Get out of the studio." Brooke talked to Emeril that year, speaking with her characteristic directness. "I don't know if the show can go on," she told him in her gravelly voice. "I don't know if we can afford the show anymore. The direction of the network may be changing." "You're full of it," he'd responded in a half-joking tone. She might be engaging in some kind of negotiating ploy for when his contract came up. "C'mon, the audience is getting a little older. The show will bounce back. This show is the network still. You're not canceling it." He wasn't getting it, Brooke realized. The network was spending hundreds of thousands of dollars a week on Emeril Live. Other shows typically cost $40,000 an episode, including the star's salary. So a whole thirteen-show season of a new series would cost what a week of Emeril cost. His price gave Brooke little room to make the rest of her talent roster happy. Ten years was a hell of a winning streak on television. Couldn't Emeril see that? Bobby Flay had evolved. His good-natured new competition show, Throwdown, was easily beating Emeril Live in the ratings. Just as she had challenged Emeril, she challenged Bobby to come up with something new, and he had dreamed up the concept for Throwdown himself. But Bobby was a consistent star, not the center of the network's universe. How could Emeril be expected to believe she was serious? In the last couple years, the show had booked younger musical acts and invited younger chefs to cook with him. It was a fertile gambit, but telling. A local deejay named Sunny Anderson, from New York's Hot 97 FM, demonstrated a fried chicken recipe. She was charming and pretty and African-American, a group that was not well represented in the network talent. The producers and Susie gaped at her ease on camera. Soon Sunny had her own show, Cooking for Real. Not long before the end of Emeril Live, Susie phoned Emeril's talent agent Jim Griffin, a legend who represented Regis Philbin, Joe Namath, and Geraldo Rivera. It was a last-ditch effort to keep Emeril secure in the network stable and, perhaps, save Emeril Live. Susie wanted Emeril to become a regular competitor on Iron Chef America, the competition show that pitted two chefs against each other in an hourlong cooking battle in the center of a mini-stadium. Iron Chef America had a cult following and strong ratings among the viewers advertisers craved, eighteen to forty-nine years old. Susie laid out the case to Jim. It would expose Emeril to a new generation, she told him. His original audience was getting old and he wasn't attracting a new one. Iron Chef would lend Emeril an edginess. "I don't want to lose him from prime time," she said. Morimoto, Jim wanted Food Network to invite new family-friendly guests to Emeril Live. He suggested Elmo, the Muppet from Sesame Street. Emeril had appeared with Elmo in 2001 in a home video called Elmo's Magic Cookbook, which was, as the advertising noted, "an enchanting mix of whimsical songs and fun food facts" in which Emeril showed kids how to "take it up a notch" by shouting "Bam!" as they added toppings like broccoli to homemade pizza. Susie hung up, exasperated. Elmo! A few weeks before the end, Brooke brought Emeril in and told him straight up that the Emeril Live episodes he was taping were his last. The decision had been made. Ken had signed off on it. He nodded and left her office, but to those around the network, he seemed to be acting as if it wasn't going to happen, as if he believed something was going to change. Ever since high school, working 11 p.m.–to–7 a.m. shifts in a Portuguese bakery in Fall River, Massachusetts, and sleeping in the afternoons between the end of classes and the start of his shift, Emeril had had a plan — what his next step would be, which chefs he would train under, what neighborhood he wanted as a location for his first restaurant, then his second and third. But on the day of his final episode he finds himself with no plan. Over the next few weeks, he is racked by self-doubt. In addition to asking him to do Iron Chef, Brooke and Susie had tried to coax him to travel around the country for more out-of-the-kitchen segments on Emeril Live. They wanted him to connect with his audience, bring air and natural light to the show. Had he made a mistake, he asked himself, when he and Jim bucked those demands? They had protested that Emeril was a real restaurateur, not merely a TV personality like so many of the newer Food Network stars. It was crucial for his self-identity and his brand identity that he never stray too far from a working kitchen. He no longer had time to barnstorm around the country in a van with a TV crew, they argued. Emeril Live was like The Tonight Show, Jim had insisted to Brooke, a formula that was safe and working and did not need to fundamentally change. Now Emeril thinks maybe he should have listened to Brooke and fought Jim. But a few weeks after the last day of taping for Emeril Live, Brooke calls him into her office again. The network has decided to end production on his other cooking show, Essence of Emeril, which had run off and on for twelve years. This is too much. He stares at her, his eyes flaring, but he says nothing. So that's how they are playing it, he thinks. They have hundreds of Essence and Emeril Live in the can. What do they need the real Emeril for when they have those hours of old Emeril to exploit? He retreats to his restaurant in New Orleans and cooks on the line. Obviously the network is evolving, he thinks. Okay. But I don't understand why it's evolving without me being a part of it. I don't know why I'm getting the door shut on me. I've given a lot of time and a lot of my life to build the network and paved the way for a lot of people. When he is next back in New York, he sits in Susie's office. They are talking about how he might fit into the future of the network. "Maybe you should try doing something on Next Food Network Star, or maybe Iron Chef?" Susie asks him hopefully, not letting the idea go. She hates seeing this man she idolized unable to come to terms with this change, like an aging quarterback who cannot accept he was being benched. "How about that, Iron Chef?" Emeril had built this network, had given it fifteen years of his life. 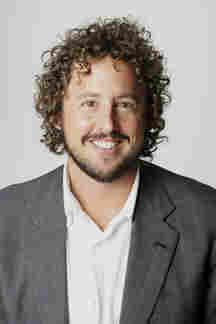 When he started on his first show in 1993, How to Boil Water, Food Network was in 6.8 million homes. Now they are in more than 90 million. He had been here long before Susie arrived. Before Brooke. Rachael Ray had been barely removed from her job as a shopgirl selling candy apples at a counter in the basement of Macy's when he'd been cooking for Leno and yelling "Bam!" on The Tonight Show, bringing in men, young women, and millions of viewers who had never dreamed they'd ever tune in to a cooking show. He helped people. He raised money for charity. All the hosts who came after him had sought out his advice on how to build their careers, how to be the best versions of themselves on camera. He'd seen their hunger, increasingly desperate in recent years as the stakes for success had risen: fame-grappling starlets who couldn't make a piecrust from scratch and men with hair gel in their knife kits, all willing to fight like subway rats for a toehold in the fickle Food Network family. Iron Chef. He is not going to kowtow to these people. He is not some novice cooking graduate grasping for a show before he'd worked a single shift in a professional kitchen. "How about Platinum Chef?" he barks at Susie, walking out of her office, his rage, embarrassment, and fear bubbling over. "Have you thought of that?" This was not the Food Network it used to be. Reprinted by arrangement with G.P. Putnam's Sons, a member of Penguin Group (USA) LLC, A Penguin Random House Company. Copyright 2013 by Allen Salkin. Audio copyright 2013 Penguin Audio, a member of Penguin Group (USA), LLC, A Penguin Random House Company. This recording may not be reproduced, in whole or in part, without permission from Penguin Audio.